Facebook dominated headlines last week with bad news for the company. In a single day, Facebook stock plunged 19% following an earnings report that showed slower than expected growth. This earnings report comes in the wake of April’s Cambridge Analytica data leak scandal connecting Facebook with false news stories believed to sway opinion during the 2016 election. The bad press followed Facebook making significant changes in its content algorithm that impacted how businesses engage. The stream of bad publicity and change could trigger a natural tendency to react and run away from a company in crisis. But hold on, industries, including automotive have increased their advertising spend on Facebook to garner access to their 1.471 billion Daily Active Users. Facebook launched 2018 introducing changes to make the platform more meaningful. Facebook learned that passive content – watching videos or looking at stuff to buy or reading too much global news – has a negative impact on people. And active content – exchanging stories and photos with family members – creates a positive effect. Facebook chose to demote organic content and messaging (i.e. content from businesses and brands) in its News Feed and return to their roots of keeping families and friends connected. It’s not as bad as you might think. 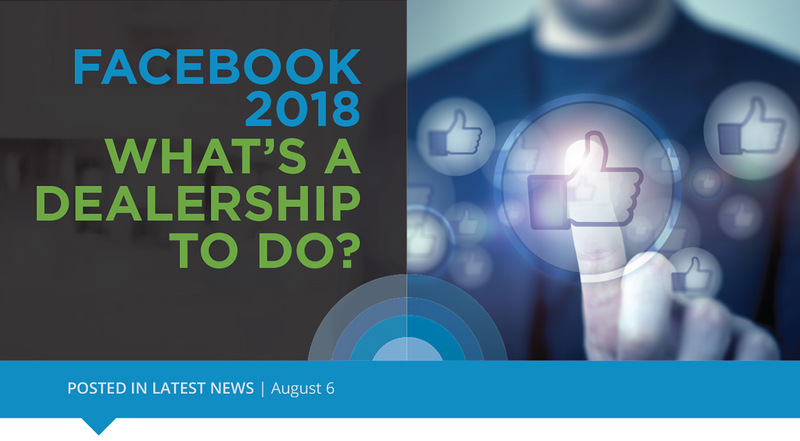 Facebook’s new business model creates an opportunity for dealers who wish to continue with – or embark on – paid online advertising. Yes, we will have more battles for paid content and ad rates will go up in the long run but, we’re talking about the second-largest social engagement platform, surpassed only by Google. North American Daily Active Users remained flat in Q2 2018 -around 185 million – despite the fallout from the Cambridge Analytica data leak scandal and fake news issues. The lack of growth might not be good for investors, but it is still great for people advertising to its users. And most dealerships are missing out. An average dealer, may be spending $40,000 in Google AdWords and only $2,000 in Facebook. Auto dealers typically only spend about 5% of their ad budget on Facebook. However, social media marketers worldwide believe and studies from Emarketer.com show that Facebook produces the best ROI. This is a missed opportunity. Application: Find out what percentage of your ad spend is being invested in Facebook. Then, ask your internet manager and/or marketing partners to evaluate which digital channels are not performing and can be scaled back to bump the Facebook percentage up. Cambridge Analytica was created in 2013 as an offshoot of its British parent company SCL Group to participate in American politics. The privately held company combines data mining and data analysis with strategic communication for the electoral process. They hired a company who pulled the personal data of 50 million people from Facebook to potentially interfere with or influence the 2016 presidential election. The scandal woke many people up to how much of their personal data Facebook collects and makes available to others. Facebook wanted to show it was making policy changes designed to help protect user data, so they shut down its Partner Categories advertising program. 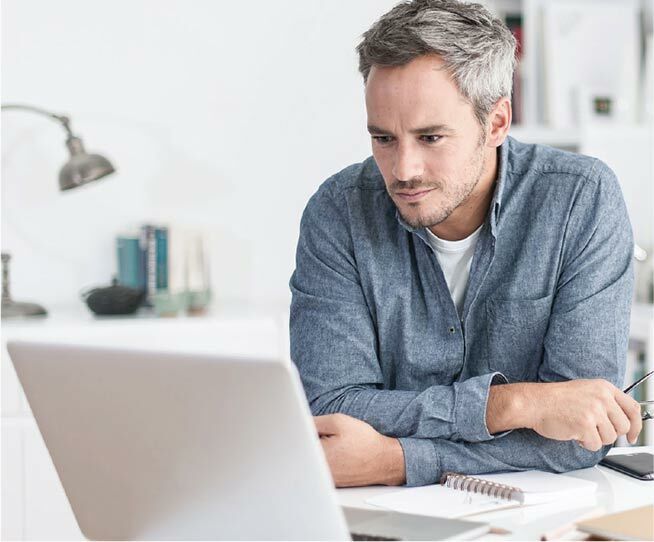 Partner Categories is the platform’s ad option for targeting users based on data points provided by third-party vendors, such as Acxiom and Experian. So, what does the loss of Partner Categories mean to your dealership’s digital marketing efforts? 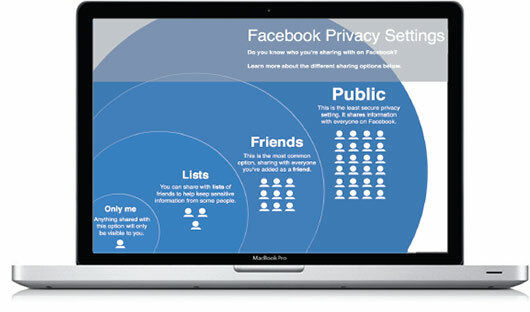 At Client Command, we don’t use third-party data when targeting on Facebook. Our primary source is our own data as well as data provided by both Facebook and our clients; we’ve found these sources to be more reliable and accurate. Application: Work with your internet manager and marketing partners to look for insights in your first-party data through Google Analytics. Economists are weighing in on what the stock plunge means, but a consensus of opinions is that it was a necessary market adjustment for a company who potentially might have reached its growth ceiling. 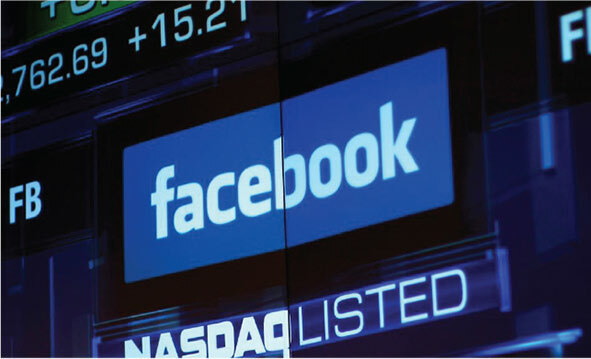 Facebook’s plunge in stock has been tied to a 3 million user decline in Europe and flat user growth in North America. Stats say there are approximately 275 million North Americans on the internet who are old enough to use Facebook. Facebook says it has 241 million monthly active users in the US and Canada. That means, almost 87% who can use Facebook…do. And amidst concern about the safety of their data, users did not abandon Facebook or change their use patterns. While those things remained flat, average revenue per user increased from $23.59 in Q1 to $25.91 per user in Q2. Yes, studies are showing that people older than 24 are powering Facebook’s user growth. This fact is influencing how retailers allocate ad spend with Facebook as they vie for younger audiences. But, we’re selling vehicles and the people staying loyal to Facebook are the same people moving cars off our lots. Application: Challenge your advertising partners and internet manager to build marketing strategies that prioritize Facebook. We have likely not seen the end of the repercussions of the Cambridge Analytic data leak scandal and false news misstep. However, the U.S consumer base has remained loyal and engaged with Facebook. And if the people are there, good business says you should be too.